Spa day for your Singer Featherweight 221. This is Nova's nationally acclaimed Featherweight Maintenance Workshop. Don't delay. These seats fill quickly. Nova will communicate with you via the email address that you use when you register. There will be a room block for Nova's students with special pricing for a hotel room for the the preceding night. Nova will email you the code once you are registered for the workshop. 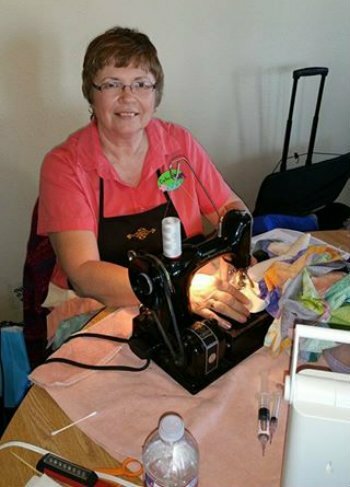 Nova will be happy to issue you a refund for a class that you have registered for, provided the registration comes directly to her (not to a guild, Quilts, Inc, etc.). Her policy is that a 50% refund will be given up to one month prior to the class, with no refund after that. No 'credit' for a future class can be given due to the complexities that arise with contracts, scheduling, waiting lists, etc. Switching dates, for any reason, will incur a 25% fee due to the difficulty in restoring seat availability, rosters, etc.